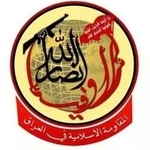 Ansar Allah al-Awfiya ('Loyal Supporters of God') is an Iraqi Shi'a militia first announced by Sheikh Hayder Gharawi, leader of the 'Group of Honesty and Caring in Iraq' political group based in Maysan Province in Iraq. Ideologically, the group identifies with Iran and appears to have close links with Liwa al-Hamad, a militia division of Iranian proxy Harakat al-Nujaba. There also appears to be overlap with Liwa al-Sadiqeen, another Iraqi Shi'a militia of similar orientation. As of November 2015, the group has deployed fighters to Syria as part of a series of regime offensives backed by Russian airpower and Iranian proxy manpower support and planning.